So, your kids don’t eat enough fruit? The only time they get apples is when they trick-or-treat at the house of the creepy old man down the street? I have a remedy for you. 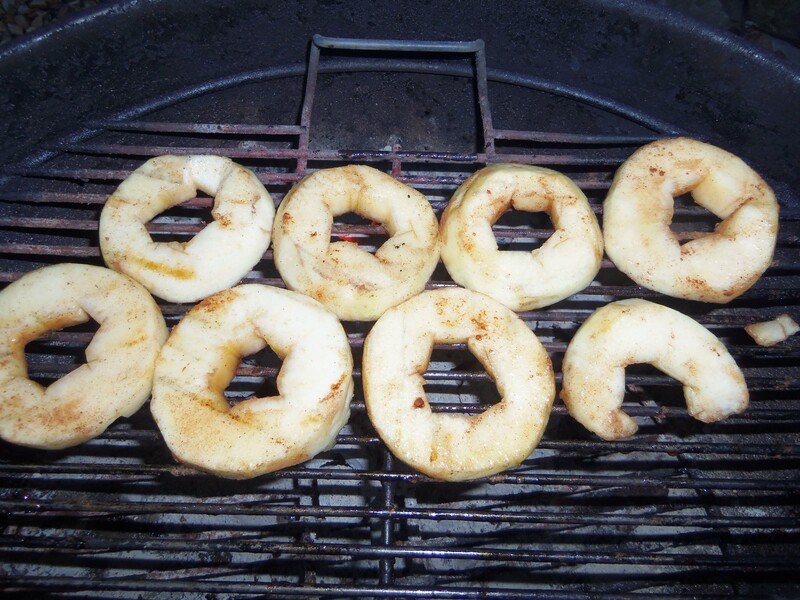 Grilling fruit on the grill is an excellent way to get some hot, flavorful dessert. Apples are as easy as it gets. 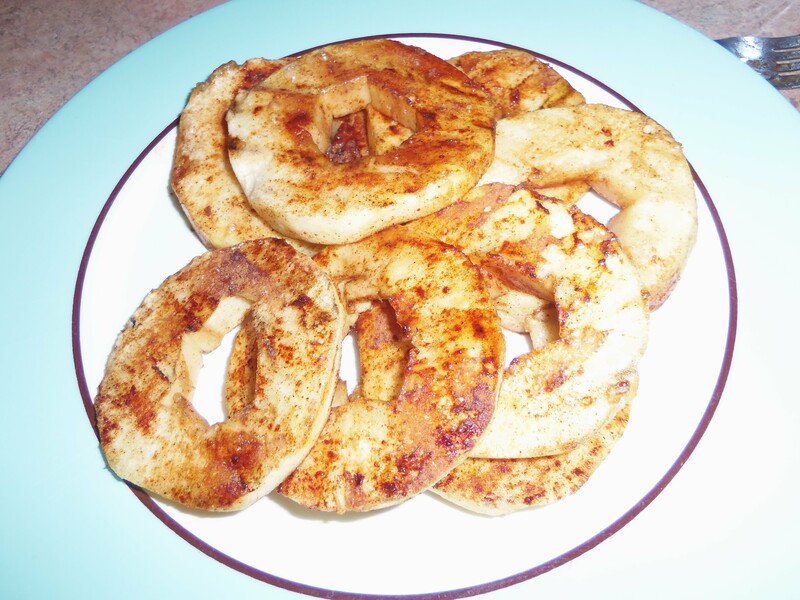 Start with apple rings: Just core a couple large apples, slice off the tops and bottoms, peel them with a veggie peeler, and then cut into thick slices. 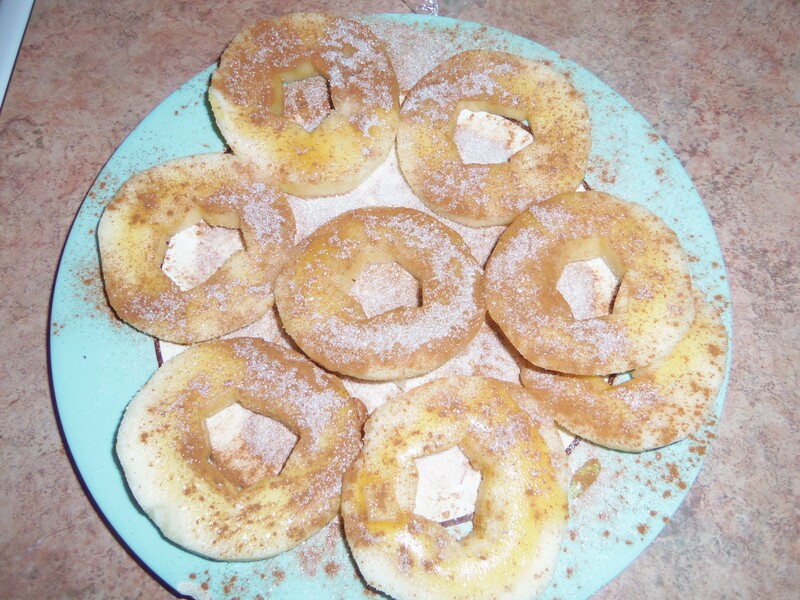 Apple rings are a favorite dinnertime side on the kids’ plates in the Simpson House. 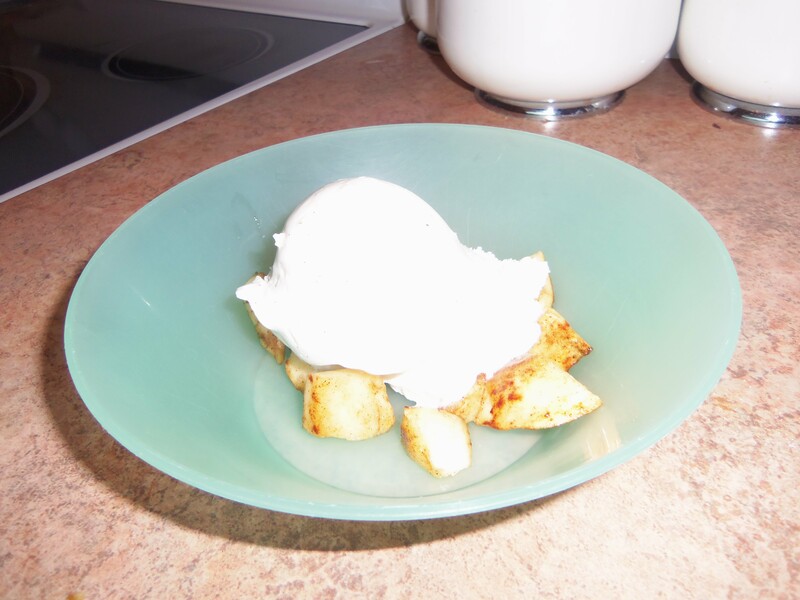 Each was given a generous drizzle of honey, plus plenty of cinnamon and sugar. 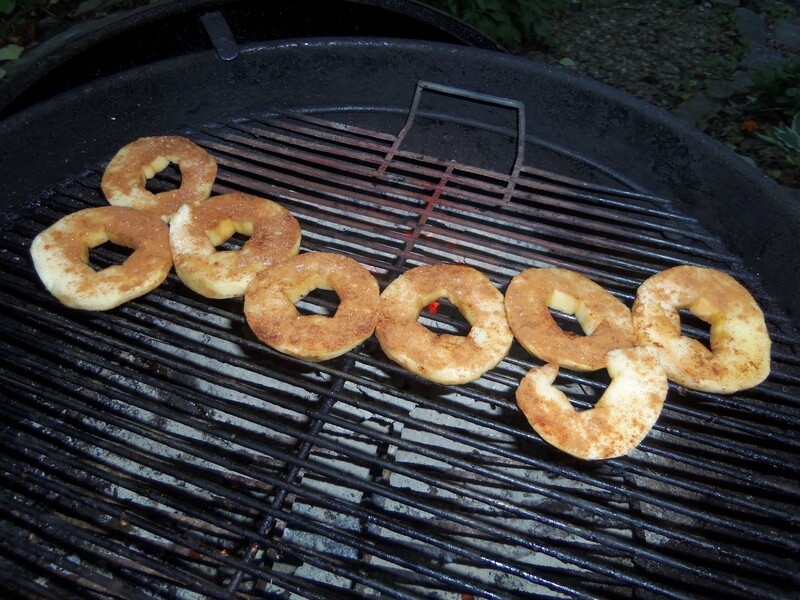 I started some indirect grilling with the sweet(er) side up. Then I went more direct with the sugary side down. Each side got about ten minutes or less. Once finished, no time to let them cool. Put them in bowls and cover with ice cream ASAP. One of the kiddos put some vanilla yogurt on it and we tossed on some whipped cream for good measure. Of course, dessert was preceded by massive whippit injections of pseudo-dairy topping into each child’s mouth until it came out their noses.